The human brain is one of the greatest unsolved mysteries of our time. It consists of billions of neurons that are connected by a large network of nerve fibers. 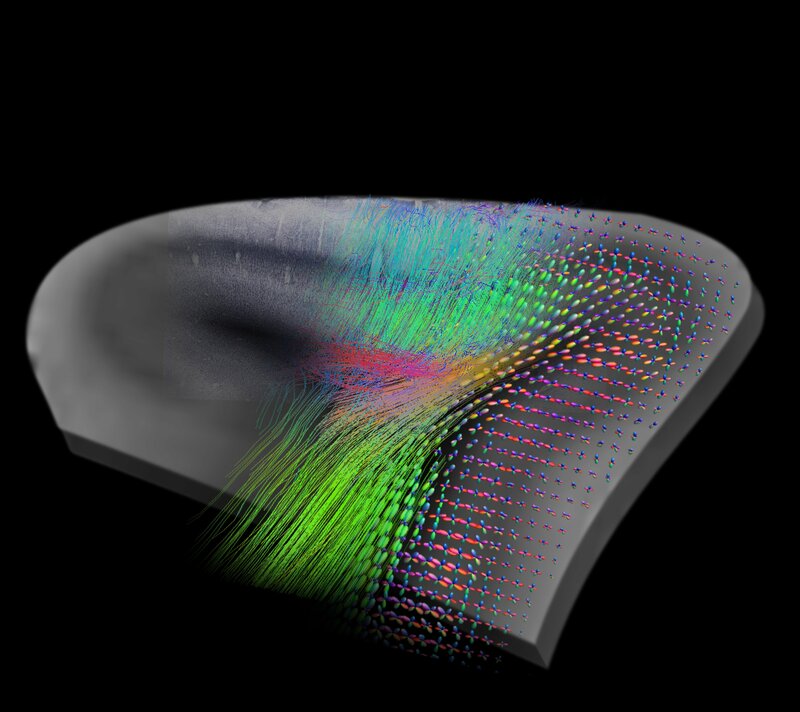 This image is showing one of the most detailed visualizations of fiber pathways and glyphs representing the fiber direction within a small part of the human cortex measured with magnetic resonance imaging (MRI).